This documentary series is adapted from the British version of the same name. It follows popular celebrities as they trace their roots back through their own genealogy. Lisa Kudrow is an executive producer for the series that is part of a partnership with Ancestry.com. Each episode features a different celebrity and usually focuses around a truth that is waiting to be uncovered or a family legend that needs to be investigated. The celebrity meets with genealogists and different experts from all over the world as they trace their relatives back through records to learn the truth about their families. Not only does the series give a glimpse into the unknown lives and backgrounds of these celebrities, but it’s also an interesting take on history, as we see the different walks of life that make up our nation. Often we find that the celebrities’ lives may have even crossed paths with our own lives. Kudrow herself has researched back through her own family tree, along with celebrities such as Sarah Jessica Parker, Matthew Broderick, Emmitt Smith, Brooke Shields, Susan Sarandon, and Spike Lee. These celebrities turn up ties to royalty, war heroes with Purple Hearts, ancestors who died in the Holocaust, enslaved ancestors, and ties to the Gold Rush. What do you think? Do you like the Who Do You Think You Are? TV series? Do you think it should be cancelled or renewed for another season? Please don’t cancel this amazing show, been watching forever and ĺove it! Yes! Please renew Who Do You Think You Are! We need a show like this during the time of year (Winter) when we watch TV more than other seasons. My husband and I really enjoy this show. Please do not cancel this show. It is very interesting and a break from all the nonsense going on in the world today. It also gives me ideas on how to get around obstacles when I am researching my own family tree. 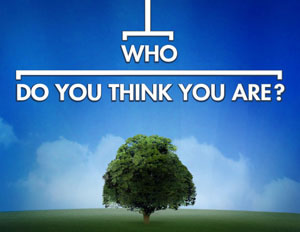 I have been a fan of “Who Do You Think You Are?” since it’s beginning and never tire of the stories, history or the connections that prove how important the past is to us and our lives today! Far too many people think/believe that the “history” that we learn about has nothing to do with today and that just isn’t true! Please keep this going, we can learn so much!!! Please bring this show back!! My family always looks forward to this program. The many ins and outs and surprises in the family tree. This program means a lot to see other people find their ancestry and know that I won’t be able to find my own. The places they will need to go and you can see that finding out the answers means a lot to them too! Please renew this show, we love it and look for it each season, the stars love it too you can see the emotion, this is a family show well worth keeping. Excellent show, bring it back. Producers always take away the good stuff and leave the shows more suitable for the middle school intellect and humor!